Offices produce all kinds of waste on a daily basis from paper, plastic, electrical, general, food, etc that can be time consuming and expensive to manage. Our office waste disposal services can be tailored to your business, no matter where you’re based or how much waste you produce. We will ensure that all your waste is collected and disposed of through an easy to manage service. If you handle sensitive data, we can take care of that with our confidential waste disposal and shredding services. Choose from on or off-site shredding and regular or ad-hoc servicing. With large fines given to those that don't comply, a professional service is the best way to keep your business protected and legally compliant with our expert office waste services. Our services also include secure office waste recycling for your electricals. Not only can your paper and plastic waste be recycled, but old office computers and electrical equipment can be ethically recycled using our WEEE recycling services. This waste service also includes 2 weeks free servicing when you sign up. Call today for a free quote and find out how we can help manage all of your office waste. It's free. We will get back to you quickly as possible. Our office waste management services cover the whole spectrum of waste that's produced in offices around the country. 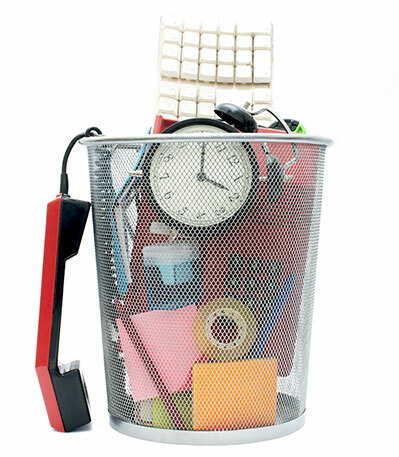 When you use our service we take care of managing your office waste for you. scouring through hundreds of regional waste companies to get you the best possible deal for the services that are right for your business. Wherever your business is located and whatever kind of waste you have, we'll tailor our expert services to you. What's more, you'll no longer have to deal with dozens of different waste companies in managing your waste disposal! Simply call us to make any changes to your services and we will arrange everything for you, saving you countless working hours. Call today to find out more about our office waste services or click on the 'learn more' buttons below for more information about our professional services.